VolunteerCNY.org is the hub for volunteer activity across the Central New York region. Our virtual volunteer center serves Cayuga, Cortland, Madison, Onondaga, and Oswego counties. Driven by United Way of Central New York, we collaborate with a network of United Way affiliates and local partners to provide volunteers and resources to the community. Search our regional database of volunteer opportunities - they’re all here under one roof! Access to Independence (ATI) of Cortland County, Inc.
Access to Independence (ATI) empowers people with disabilities to lead independent lives in their community and strives to open doors to full participation and access for all. ATI offers a variety of community-based outreach presentations that aim to increase public awareness of disability issues and the independent living philosophy. CAPCO is dedicated to providing and advocating for community-wide actions and programs that increase individuals' dignity and self-reliance and improve community conditions, engaging all sectors of the community in Cortland County's fight against poverty. Catholic Charities of Cortland is dedicated to caring for those in need while promoting human development, collaboration, and the elimination of poverty and injustice. Services are targeted to those affected by mental illness and substance abuse, people living in poverty, and delinquent and at-risk youth. CNYAHEC, through collaborative efforts, improves access to quality health care by promoting improvements in the supply, training, development and distribution of health professionals in a 14-county area. The mission of the Child Development Council is to promote the healthy development of children and families at home, in child care, and in the community, by providing resources, support services, information and referrals. In promoting the healthy development of children and families, the various program activities of the agency are aimed at enhancing the quality of care that children receive and the environments in which they grow up, whether in home, child care, school or neighborhood settings. Central New York's Spay and Neuter Assistance Program (CNY SNAP)is a non-profit organization dedicated to helping curb the pet overpopulation by offering low-cost spay and neuter services. Our mission is to make a difference in our community by reducing the overpopulation of cats and dogs in the Central New York area. We promote travel to and community events in and around Cortland County. Cortland County is yours to Experience! Cornell Cooperative Extension of Cortland County (CCE-Cortland) has responded to the needs of local residents since 1913. Extension staff and trained volunteers deliver education programs, conduct applied research, and encourage community collaborations. Our ability to match university resources with community needs helps us play a vital role in the lives of individuals, families, businesses, and communities throughout Cortland County. We harness the Power of Community to keep our kids healthy and successful through positive youth development, education, and prevention. Our members run programs, host events and provide services that impact the lives of youth in our community every day. We support them by coordinating these efforts and filling in the gaps. Our mission is to reduce adolescent alcohol and other drug abuse, teen pregnancy, delinquency, school dropout rates, and teen violence in our community. Cortland Works Career Center is a full service Workforce Development Center serving the needs of area jobseekers and businesses. The Cortland Community SPCA is dedicated to ensuring the best possible quality of life for animals and to promoting respect and reverence for them. We strive to prevent cruelty to animals; curb pet overpopulation; and promote community responsibility for humane care, treatment, and well-being of all animals through adoption, education, information, investigation, and action. The Cortland County BDC seeks to improve the quality of life in Cortland County by retaining and expanding existing job opportunities, attracting new jobs, and stimulating the investment of capital in the county. In addition to providing daycare services for children ages 6 weeks old through pre-K, Cortland County Child Development Program also provides supervised recreation for elementary school-aged youngsters at a local public school before and after school each week day and whenever school is not in session. The mission of the Cortland County Health Department is to promote health, prevent disease, injury, and disability while enhancing the quality of the life within our community. The Cortland County Health Department has numerous programs and services designed to achieve this mission. Working together, we can improve the health and well-being of all residents of Cortland County. The intent of the Department of Planning is to preserve the physical beauty and natural resources of the County. The Department serves the current and future residents of the County in many ways. They help prepare for economic development, industry growth and increases in population. Our mission is to create and support countywide youth services in Cortland County which will provide opportunities for youth to become responsible, productive, and fully integrated members of our community. The Cortland Housing Assistance Council works to monitor and address the housing needs to all of Cortland County. Supporting the arts for over 10 years in Downtown Cortland, the Cortland Main Street Music Series is a non-profit organization that enriches Cortland's culture and contributes to a vital downtown by providing an annual series of free Friday night concerts in July and August featuring local, regional and national artists. We exist to provide community based drug and alcohol prevention and education services. We educate, inform and collaborate with other agencies throughout the Cortland County and beyond to meet the needs of the community. With your help we can make a difference. The Cortland Public Education Foundation mission is to enrich the quality of education for the students of the Cortland City School District by obtaining and allocating funds for educational opportunities that extend above and beyond the district’s fiscal budget. The CRSC, this agency was formed as a result of hosting sporting events in Cortland for the 2002 Empire State Games. The economic impact that these events had on the Cortland Community was tremendous and thanks to a partnership between SUNY Cortland, TC3 and local community members, a focus on attracting sporting events to our community was launched. The mission of CRSC is to promote Cortland County for sports related business, events, competition and education. The purpose of CRT is to offer Central New York residents and visitors of all ages an opportunity to experience, at an accessible price, the range and scope of excellent professional theatre. CRT serves the region by providing a long-term commitment to cultural enrichment and by endowing its community with a sense of pride and ownership. The Cortland Youth Bureau provides our community the opportunity to participate in a wide variety of recreational and educational programs. We strive to provide the highest quality programs and facilities through strong and imaginative leadership. CRMC Hospital Aid is a volunteer group which sponsors a number of programs that benefit new mothers and children of all ages. One such program, Unit Support, provides sleepers, blankets, socks and other "every day" items to children that need them. The group is also one of the co-sponsors of WHALE (We Have A Little Emergency), a child safety seat identification program. Aid volunteers also provide funding for the Maternity, Nursery and Pediatric Units. The mission of the Cultural Council of Cortland County is to encourage, promote and sustain arts and culture in Cortland County in order to enhance and enrich the quality of life. This purpose is accomplished by assuring the availability of a variety of cultural experiences, opportunities and services throughout Cortland County. EBH is a not-for-profit Adult Care Facility located in Homer, NY, for individuals age 55 years or older. EBH also provides Elder Respite Care Services and a Day Program. Our facility is licensed by the New York State Department of Health. Employment Connection, JM Murray’s Employment Services Department, is a community-based service that assists people in obtaining and maintaining employment. The dedicated staff at Employment Connection works with individuals of all abilities to assist them in maintaining employment to increase their independence and thus raise their self-esteem. Our mission is to provide affordable and accessible outpatient behavioral health care and prevention services for children, teens, and adults. Our Cortland Prevention Resources division offers prevention education and services, mentoring and other programs for youth, adults, families, professionals and educators. Franziska Racker Centers support people with disabilities and their families to lead fulfilling lives by providing opportunities to learn and be connected with others. Habitat for Humanity of Tompkins and Cortland Counties (TCHFH) is part of a global, nonprofit housing organization operated on Christian principles that seeks to put God’s love into action by building homes, communities and hope. Habitat for Humanity was founded on the conviction that every man, woman and child should have a simple, durable place to live in dignity and safety, and that decent shelter in decent communities should be a matter of conscience and action for all. Homer Center for the Arts strives to enhance the quality of life for the people of Central New York by engaging them in a broad offering of arts education and entertainment that preserves and enriches the local culture, and provides stewardship for a historically significant site. Hospicare & Palliative Care Services, a community resource since 1983, provides hospice care for people of any age with any terminal diagnosis. Additionally, our palliative care service specializes in relief of pain, symptoms, and stress at any point in an illness. Our goal is to help people live their final months as fully and peacefully as possible. High quality healthcare is important at every stage of life. We are a non-profit law firm founded in 1966 to provide free, civil legal assistance to low-income families and individuals in thirteen counties of Central New York. At Cortland Loaves and Fishes, we understand that everyone has ups and downs in their lives, and we don't all reach the ups...or the downs…at the same time. The success of our program depends on the commitment of many people within our community who volunteer time and energy, food donations, prayers, and financial support. The Lynne Parks '68 SUNY Cortland Alumni House serves as the focal point for the College's alumni program. The facility helps meet the College's varied needs, from housing dignitaries from around the world, to hosting special events for students and graduates. In conjunction with the colleges use, the house is open to the public. 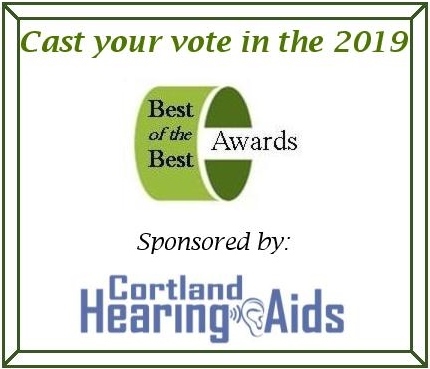 The ARC of Madison Cortland provides leadership in the field of disabilities, supporting people in every manner possible, and developing the necessary human and financial resources to allow all members of our community to achieve their potential. The Grange is a family fraternal, community service organization with roots in agriculture. We develop personal leadership skills in our members and strengthen our communities through local involvement. Faith, family, patriotism, and activism are the foundation of our values. The mission of Person to Person: Citizen Advocacy (PPCA) is to promote the protection of and advocacy for people who are devalued, usually due to a mental or physical disability. PPCA programs bring the needs of an individual at risk of social isolation to the attention of a citizen who, with support staff, will respond to those needs through a freely given advocacy relationship. Rural Services provides information, referral, emergency services, advocacy, networking and community action. It coordinates the human service outreach for the community, networking with area churches and other service providers. The Salvation Army in the Empire State Division, building on strong local leadership and vigorous stewardship, transforms lives in the communities we serve through effective social service and vibrant spiritual ministries. In these four words, our mission - to feed, to clothe, to comfort, to care. SCORE is a nonprofit association dedicated to educating entrepreneurs and helping small businesses start, grow, and succeed nationwide. SCORE is a resource partner with the U.S. Small Business Administration (SBA), and has been mentoring small business owners for more than forty years. Members of the Syracuse chapter of SCORE are available to counsel and mentor small business clients, and also offer specialized services, such as workshops, seminar presentations, computer and Web site assistance. SVHC is a coalition of providers and interested individuals who play an active role in promoting effective, efficient and accessible health and human services to constituents in the service area. The mission of SVHC is to cultivate local solutions and collaborative actions that advance the health and well-being of the Cortland community. Through our focuses on access, education, and added value to the community, we help cultivate an environment, ethos, and community that strives to be healthy, productive, and collaborative. The mission of the Tompkins Cortland Community (TC3) College Foundation is to secure resources to enhance the learning opportunities for students of the College. Cortland County Marine Corps League and the U.S. Marine Corps Reserve's mission through Toys for Tots is to ensure a brighter, more joyful Christmas for less fortunate children. The Tully Area Historical Society was started in 1977 by a group of Tully citizens who wished to preserve Tully History and the two former church buildings located on State Street. The Historical Society was awarded a permanent charter in 1999, and contributes to the Tully area in many ways including research materials, historical displays, community services and events. The United Way mission is to build a stronger community by investing in agency programs that help people improve their lives by providing health and human services. At the William George Agency, we are committed to providing a safe and caring residential environment supported by proven, therapeutic, clinical and medical care for at-risk youth. We strive to be recognized as among the best in offering innovative, highly regarded programs to serve high need, specialized populations who have historically been underserved. The YMCA Cortland: For Youth Development. For Healthy Living. For Social Responsibility. The YWCA of Cortland is dedicated to eliminating racism, empowering women and promoting peace, justice, freedom and dignity for all.